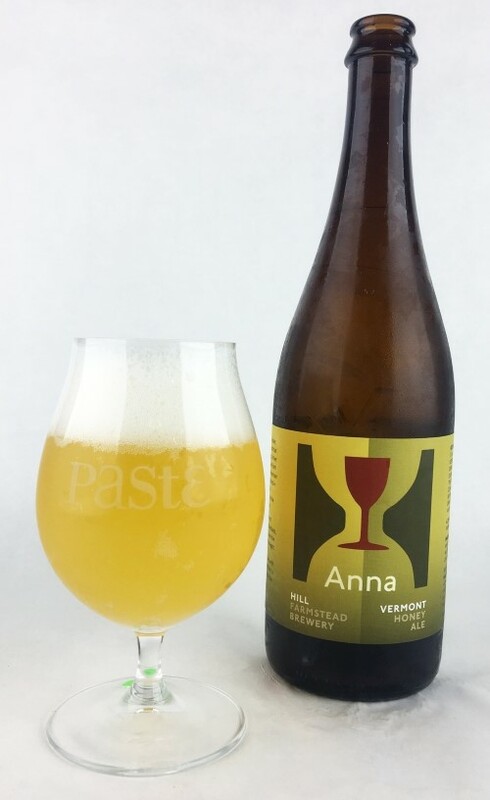 The below list isn’t meant to be viewed as the absolute best beers from Vermont, one of America’s most heralded beer states thanks to its role in the development of the so-called NE-IPA, along with the presence of trend-setting, world-class breweries such as Hill Farmstead and The Alchemist. Such a list would be difficult to pull off for any publication without being based in the state. What we can tell you is that as time goes by, we’re getting more and more top-tier beer out of Vermont, and much of it is coming from young breweries just beginning to emerge on a national scale. 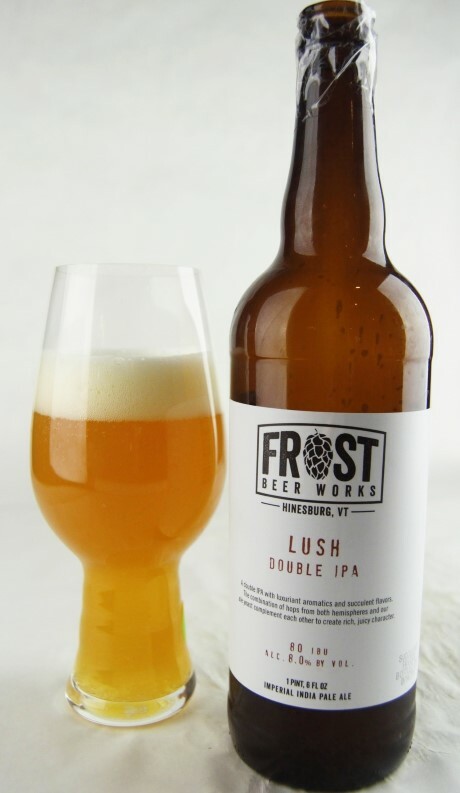 Where the likes of The Alchemist and Lawson’s Finest Liquids helped popularize beer styles such as hazy IPA, many young Vermont breweries are working hard to bring that style to its next delicious evolution. The verdict: The Alchemist amusingly describes this beer as being “judiciously” hopped with Citra and Mosaic … which is rather like saying your average hurricane is “on the windy side.” Obviously, the truth of the matter is that Focal Banger is ludicrously hoppy, as one would no doubt expect from the little brother of Heady Topper. In terms of character, the two share some similarities, although Focal Banger is probably a little bit more directly hop-focused, with a correspondingly lighter malt profile. It explodes out of the glass with rich, complex aromatics: Dank, green hop resin, juicy pineapple and grapefruit candy, and a touch of exotic spiciness that you sometimes get out of these tropical varietals when used in massive amounts. There’s definitely a syrupy quality to this hop-rate, which candies the fruit impressions and cuts down a tad on drinkability … but man, what a rush that initial whiff can be. Whether it comes off as more strongly tropical or dank may come down to what flavors your palate perceives most acutely, but Focal Banger is clearly a treat for those who love big, big hops. The verdict: Oh, how the mighty have … arguably become slightly less mighty, while still being pretty damn good? Yes, it’s good old Heady Topper, the beer that has arguably done more for the field of “whale” DIPAs than any other. 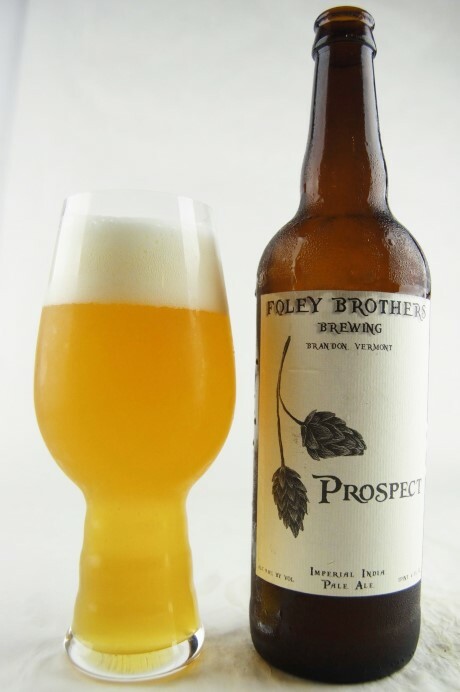 It’s hard to believe that this stuff has been around for 13 years now, but it has since 2004 at least, bearing the standard for “NE-IPA” for almost a decade before anyone even bothered to coin that term. And it’s still an excellent beer, even if the mystique and hype perhaps aren’t quite what they once were. The flavor profile is a good balance of different elements—there’s still a good charge of bitterness in there, a pithy orange citrus quality that balances juicy tropical fruit sweetness. There are also hints of booze and even of light caramel, which fade into a finish dominated by greener, more piney notes. Several score sheets use the word “solid,” and that’s what Heady Topper is—solid. Is that a disappointment to some? Surely, but it shouldn’t be. 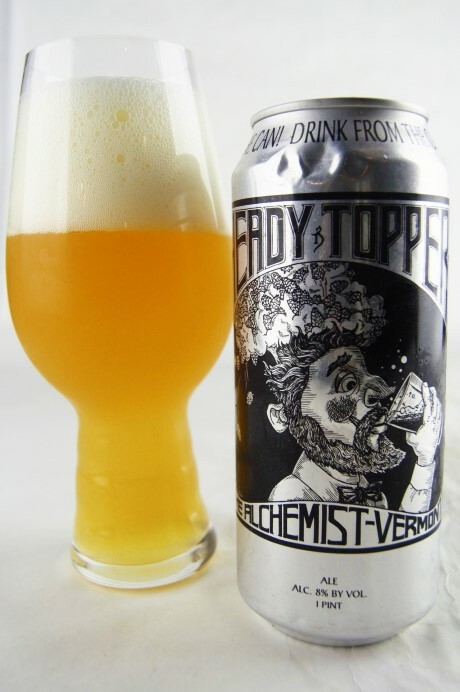 As the style continues to evolve, so does every brewery, including The Alchemist. Just look at their Focal Banger, which was #6 out of 247 IPAs the last time we tasted those. The verdict: Burlington managed to give us what is possibly the most unique imperial stout of the tasting; one brewed with tart cranberry juice and aged on neutral red oak rather than a liquor barrel. The result is subtle but very effective—an undercurrent of very light tartness and slightly greater acidity, which amplifies the already present flavors of dark fruit. In reality, I think the key here is that there’s just a really great imperial stout under the hood, with an impeccable balance between dark baker’s chocolate, lightly smoky roast, dark fruit (black cherry, plum) and very light, restrained residual sweetness. Being offered this beer blind, you might not necessarily detect the oak or suspect that it was barrel-aged, but that doesn’t mean the wood isn’t adding an x-factor that would otherwise be missed. This is just a great stout, plain and simple, but the unique nature of its aging is a bonus. The verdict: Okay, this is the only other beer on the table that can give the gin barrel stout a run for its money in the uniqueness department. 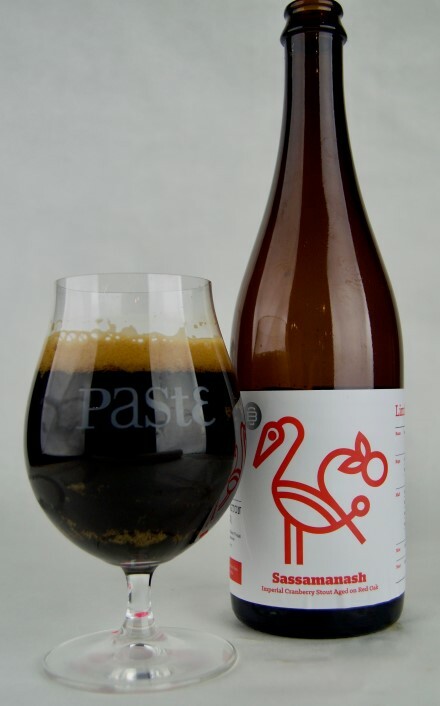 Like the Finback stout, this one is made with apple brandy barrels, but then it’s additionally “conditioned on sour cherries, cacao nibs and smoked chipotle peppers.” Now that is an interesting cocktail, right there. On the palate—woah, this is some weird, wild stuff. It presents with ashy, smoky roast and oak, but also fairly perceptible tartness. It’s rare that we’ve ever tasted a beer that is so assertively roasty but also genuinely sour at the same time, and when we have in the past, it’s not exactly been a good combination. Here, however, the tartness is also supported by a fruity, somewhat viniferous quality (presumably via apple brandy) that works as an excellent counterbalance to the drying roast. The chiles, meanwhile, simply present a low-key note of spice that one taster’s notes observe as a “peppery tang.” This feels like a beer that could easily go terribly wrong, but the brewers at Four Quarters threaded the needle to somehow make a stout that is equal parts novel and genuinely enjoyable. The verdict: This unique beer seems to be a crossover of two or more styles, an unusual nexus between American pale ale, American wheat ale and Belgian wit—but the brewers call it a pale ale, and thus we will as well. The significant portion of wheat malt is pretty obvious both in the doughy, bready flavors it contributes and in the beer’s appearance: Very light, opaquely cloudy and hefeweizen-like. It boasts a fantastic nose, though, of super juicy, sweet tangerine that pierces the ranks of “standard” citrus flavors we’ve experienced so many times on the table. It’s also very soft on the palate, perhaps because of the wheat, with no real bitterness to speak of, especially in comparison with the other beers. One might hope that the wheat would deliver just a bit more body or a creamier mouthfeel, but what this one boils down to is a ridiculously, dangerously drinkable citrus bomb with nice supporting wheat malt flavors. It’s like the beer equivalent an English muffin with orange marmalade. The verdict: Compared with Arthur, Hill Farmstead’s flip side of the coin is more alike than it is completely disparate, but the balance is even more impeccable. A bit funkier than Arthur, this Bière de Miel is as dry and refreshing as you’d expect—you know when you see “honey” on the label that a brewery like Hill Farmstead is going to let those simple sugars ferment out completely. We get touches of green apple and hayloft in this one, with a wonderfully supple, smooth mouthfeel that doesn’t compromise the fact that this farmhouse ale is a real quaffer. From one score sheet: “Bretty and slightly tart, dry and refreshing, subtle funk but real drinkability.” This is lovely beer. The verdict: It’s an odd experience to go into a blind tasting with no first-hand knowledge of a beer, but nevertheless have expectations of what it might taste like. In the case of Hill Farmstead, it’s almost impossible to not have some level of trepidation because of the hype bestowed upon what is often called the best brewery in the world. 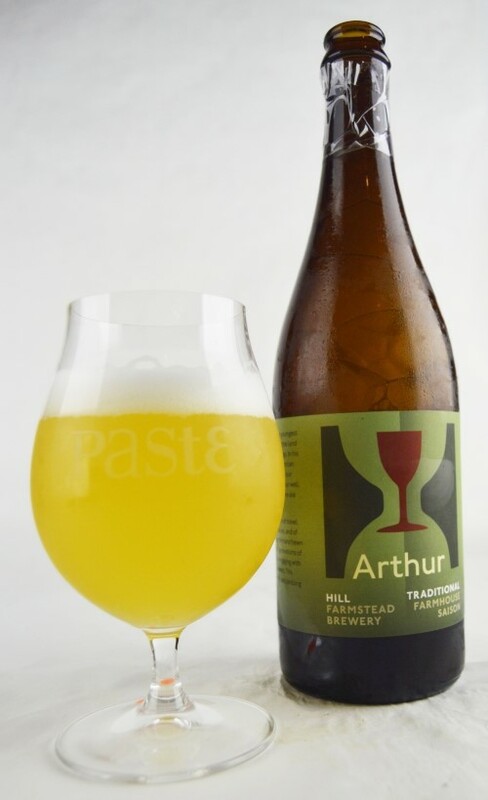 We’ve never been fortunate enough to have a Hill Farmstead beer in a tasting before this, but for whatever reason, I’d always imagined their house saison, Arthur, as being a classical funk bomb. And yet … that’s really not it at all. Rather, this is a really beautifully balanced farmhouse ale that make significant use of both Euro and American hops, and delivers a profile that isn’t “challenging” to tasters but inherently, universally enjoyable. The wonderfully soft, velvety texture is the vessel for big citrus flavors of lemon and orange peel, with more than a touch of residual sweetness. An ever-so-calculatedly small level of tartness enhances the “juicy” impression of those citrus flavors, as well as drinkability, in a way that one score sheet describes as “checking a lot of boxes.” In short, this wasn’t the brettanoymces funk bomb that I was subconsciously expecting, but much more of a refreshing, crowd-pleasing saison that most any brewery would kill to have as a year-rounder. 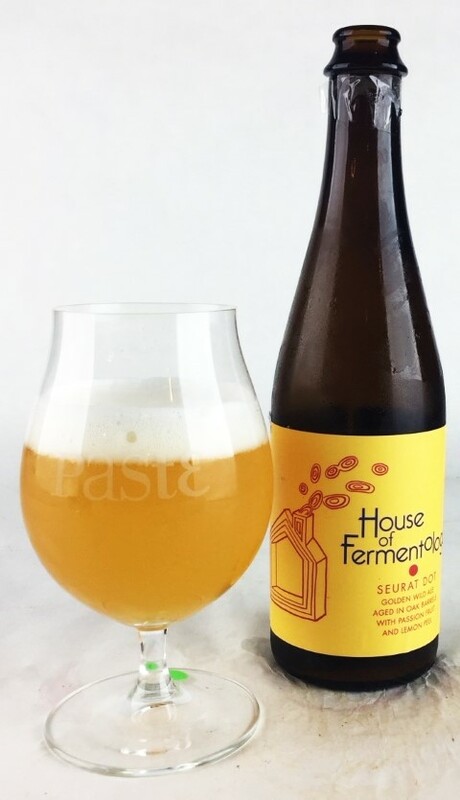 The verdict: The coolest new brewery discovery of this tasting may have been Burlington’s House of Fermentology, whose beers were sent in by a very helpful Paste reader to whom we offer our thanks. Their earlier Green Dot was one of the better dry-hopped sours of the tasting, and here the pointillism-inspired Seurat Dot veers off in another interesting direction with the combination of passionfruit and lemon peel additions. The aroma is a big melange of tart citrus and pungent, vinegary sourness, with notes of passionfruit juice and apricot skin. Tartness is quite high—on the aggressive side, which gives the fruit flavors punchy vitality. This is a near-perfect example of the kind of in-your-face, fruit flavor-packed sour style that would have seemed insane or impossible to most beer geeks only a decade ago. It’s good to keep in mind how far this field has come in such a short, short amount of time. 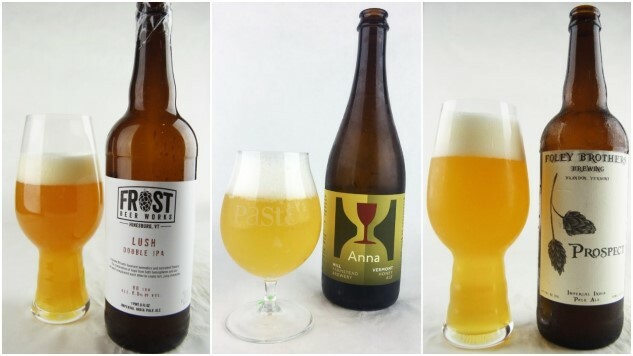 The verdict: There’s a good amount of buzz about Burlington’s Foam Brewers these days, and this tasting gave us a pretty clear picture of why that is. Green Dot is part of the House of Fermentology “dot series” of color-coded beers, and unsurprisingly serves as the dry-hopped entry in the lineup. There were quite a few dry-hopped sours in here, but I’m pretty sure none of them were more explosively flavorful than Green Dot. In both hop character and tartness, this beer has been cranked up to 11. It smells like an NE-IPA, exploding with juicy tropical fruit (pineapple) and orangey citrus. But at the same time, Green Dot is seriously sour, which merges with the citrus-heavy flavor profile to make something seriously tangy. This is beer that might be accurately described as “challenging,” because it will probably be BOTH too hop-forward and too tart for some drinkers, but for someone looking to scratch both itches at once—and seriously scratch them—Green Dot is a rush of wish fulfillment. The verdict: This unusual barleywine was aged on maple wood and received an infusion of Vermont maple syrup, making for something that immediately stood out as nebulously different during its blind tasting. Other online tasters have alluded to a cloying sweetness and attributed it to the syrup, but we didn’t really get a ton of residual sugar on this one—rather, we were intrigued by some of the darker malt characteristics in play. 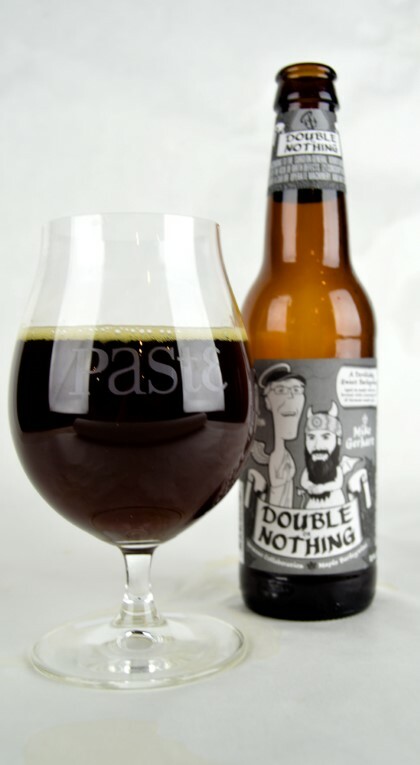 Thanks to the molasses/nutty/toffee characteristics, it almost feels like something of a cross between an American barleywine and say, an imperial brown ale—more of a toasty quality than we found in many of the other barleywines, with definite cocoa undertones and a hint of sour woodiness. Nothing else we tasted that day was quite like it. The verdict: Along with Heady Topper, Sip of Sunshine is perhaps the other beer most responsible for getting us to where IPA is today, and it’s good to see that it still holds up. Like a few of the other beers in this tasting, it’s another one of those that doesn’t really commit fully to a “double” aesthetic, and instead feels a bit more like a bridge between single and double IPA. Still, the big hop flavors are there: Lots of funky tropical fruit, in a cocktail of pineapple juice and resin, with a bit of corresponding bitterness for balance (not a ton, but more than none). From one succinct score sheet: “Clean, correct, on point.” From another: “Pineapple, sweet onion and sticky resin.” It’s no longer quite as bombastic as some of the other NE-IPAs on the scene, but it doesn’t have to be. 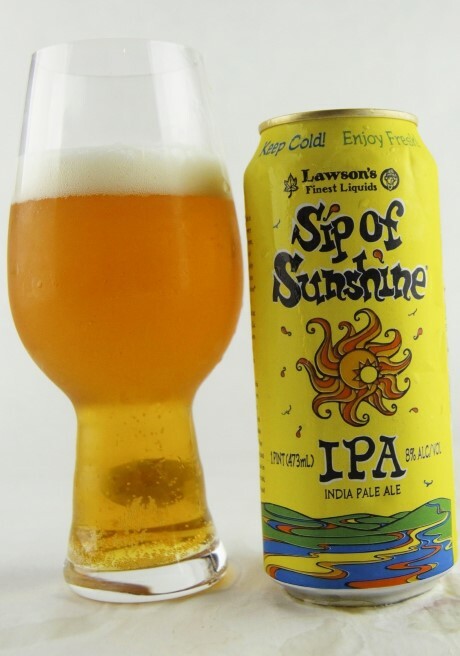 Sip of Sunshine still fits in comfortably among the new wave of VT and New England hop bombs. The verdict: It’s a rare accomplishment in making hoppy beer when you produce something so ridiculously juicy while solely using hops that the final product actually seems like a fruited IPA. 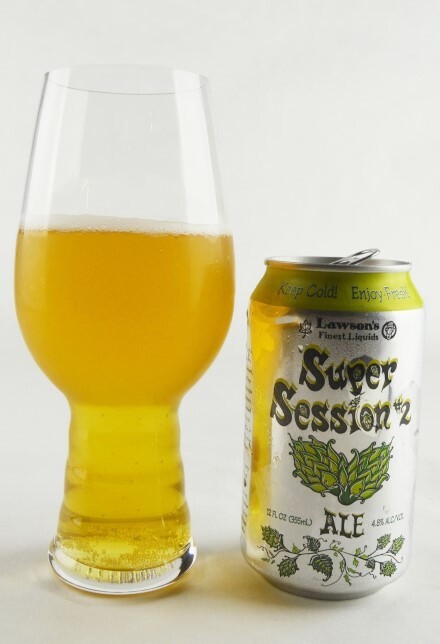 That’s what Lawson’s has going in their Super Session #2, a beer that channels the fresh-squeezed citrus juiciness you also see in other Vermont IPAs from the likes of The Alchemist and others. 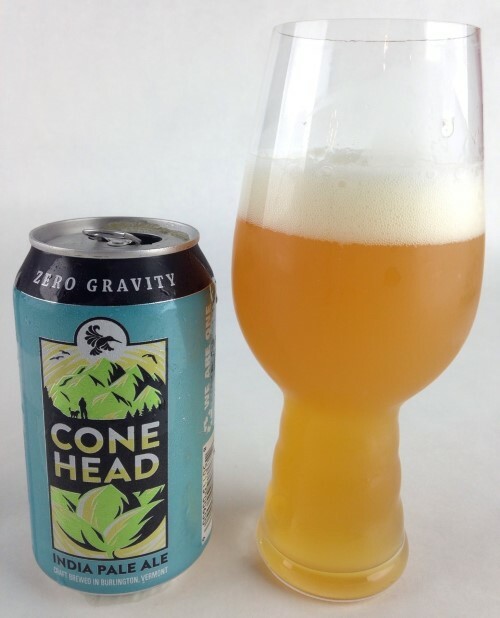 Very light of body, it’s juicy and a touch sweet on the palate, followed by a rush of dank, grassy hop flavors. It goes down easy, with a citrus character that flows from juicy orange into a light zing of lemon—and one taster actually noted a “faint strawberry finish.” We expect good things from hop-forward styles coming out of Lawson’s, and this one does not disappoint. The verdict: At this point in American craft beer, it’s a real rarity to see “IPA” in the 5.5% ABV range, and you could probably get away with calling this one an exceptionally hoppy pale ale, but we digress. It’s much bigger, at least aromatically, than its strength would let on, as huge aromas of fresh-squeezed orange juice come wafting out as you stick your nose above the glass. Explore a bit deeper and the big, sweet citrus is also complemented by a more exotic strain of tropical fruitiness, perhaps something like papaya, along with green, grassy notes. It’s thankfully not overly sweet on the palate, although the malt balance is more or less absent. This beer is a showcase for the single-hopped complexity of Mosaic, an experiment that many other breweries have also done, albeit not always as successfully. It remains a fascinating hop varietal because it can come off so differently in various beers, even when used in a single-hop setting. You never quite know what you’re going to get with Mosaic, but this IPA captures its juicy fruit flavors at their best. The verdict: Vermont brewery Otter Creek makes its first appearance in our tastings in fine style with this excellent oatmeal stout. It’s right down the middle for what you would expect of the style—one of the tasting sheets says “Yep, definitely a stout.” Featuring plenty of roast and a little bit more pronounced smokiness that some of the other examples, it plays up the “dark” side of stout quite heavily. “Perfect example of a classic-style stout,” wrote one taster in his notes. Three others all used the word “solid” in their notes. That’s just literally what it is—a solid, clean, roast-heavy oatmeal stout with no off flavors or flaws. Sometimes that’s all you need to crack the top 10—simply doing all of the little things right. 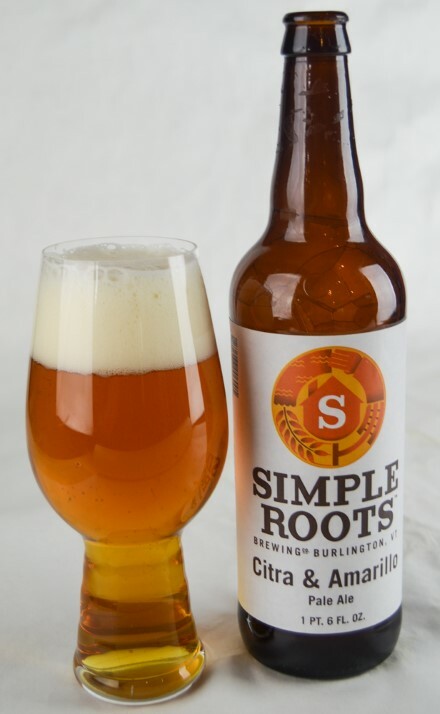 The verdict: That’s the actual name, just “Citra & Amarillo,” but it’s a statement of principles we can get behind. 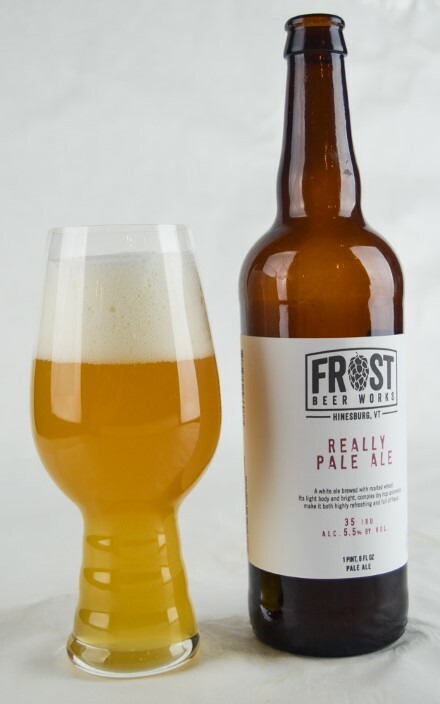 Just about everyone enjoyed the hop character of this beer, which has both a tart, grapefruit citrus and more round, sweet tropical characteristics that make it seem very “ripe.” Simultaneously, there’s also no shortage of malt here, with crystal malt sweetness that is lent depth from the sweeter, fruitier side of the hops. It tastes quite a lot larger than its 5.1% ABV, which was a surprising aspect of the reveal—as one taster put it in his notes, “it’s like a miniaturized DIPA.” There are interesting flavors packed into this frame for sure. The verdict: This is our first entry from Tunbridge, VT’s Upper Pass, but it makes a pretty solid first impression for a brewery we’re not really familiar with. 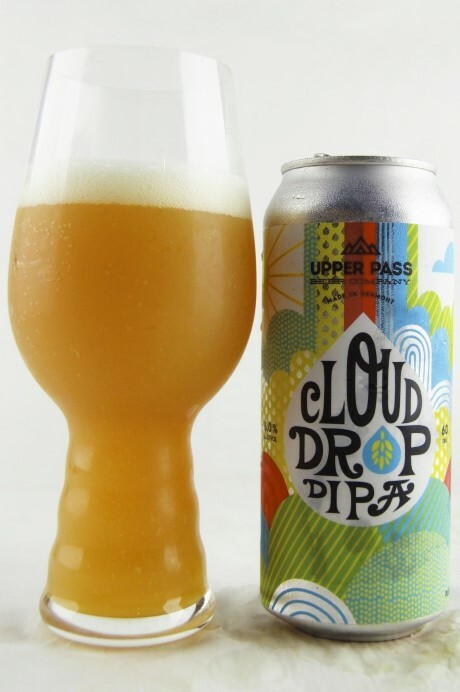 As you’d likely expect from the location, Cloud Drop is NE-IPA all the way; as accurate a template for the style as you’re likely to find. “Effortlessly easy drinking,” begins one of the taster’s score sheets, noting a balance between orange/lemon citrus and resin, with mild residual sweetness. There’s some of the earthy, grassy quality that we’ve come to associate with Trillium IPAs in particular, but not so much as to unbalance things in favor of vegetal hop flavors over juicy ones. All in all, this is an excellent example of what so many brewers are trying to execute right now, with greatly varying degrees of success. The easy balance between juicy, tangerine-esque flavors and dank green-ness was a common profile for a lot of these NE-IPA’s, but judging from the final placement alone, this one is clearly one of the better takes at it. 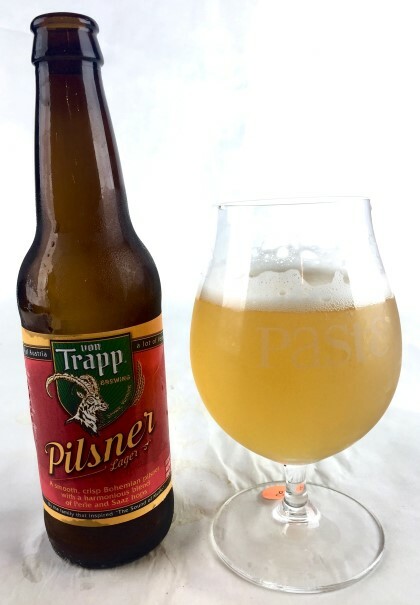 The verdict: This is a beer that has gotten Vermont’s Von Trapp Brewing a good amount of attention recently, especially after it took home a GABF silver medal in 2015, and after tasting it we’re glad that a somewhat subtle take on Czech pilsner has been garnering awards. This one doesn’t really bombard the drinker with hop aromatics, although it does feature some mild, pleasantly spicy, slightly peppery notes. Malt is crisp and complex, with biscuity overtones and a wheat-breadiness that made tasters use words like “rustic.” This feels like a pilsner that one could pass off to beer fans as continental while visiting Germany; a very authentic, flavorful but balanced pils that nails the style guidelines to a tee. The verdict: Vermont is full of big-name breweries, but it’s also got a handful of very solid, everyday beer-makers who are also rapidly rising in our esteem. Zero Gravity is one of those places, and here they’ve produced a fairly unique, unusual IPA that stands out in this lineup for zigging when others zag. Tasting blind, it’s clear that there’s something a little bit different in the grist here, and a clever taster might deduce that this is a beer with a large proportion of malted wheat. In this case, the wheat delivers a pronounced cereal graininess and a bit of doughier, breadier character, while also suggesting the ghost of some light spiciness—you’d almost think a very light farmhouse yeast strain might be involved. At the same time, the now-familiar character of Citra leads the way on the hop front, but this IPA doesn’t overdo it as far as hop intensity is concerned. It’s an easy, gentle balance between clean-drinking grain and lightly juicy, floral hops. You can’t ask much more from an everyday IPA.